When you camp there are basically two ways to cook; either on a gas/multi-fuel cooker or on an open fire. Most travellers don’t bother with cooking devices like a Weber or a Cob when they travel because these are bulky. A braai (cooking food over an open fire, also known as barbeque) is the most obvious way to cook when you travel in Africa. You will find wood or charcoal just about anywhere and for me a campfire at night is an integral part of the romance of an African trip. I have heard somebody call a campfire a Bushmen TV; people stare at it and enjoy it for hours. A campfire is like a Bushmen TV. Braai For most South Africans braaiing is as natural as breathing. We even have a ‘National Braai Day’! Europeans, however, may not know that you cook on the coals and not the flames. It is best to take just enough coals with a spade from the fire. When you hold your open hand, palm down, 2 – 4 cm above the grill, it should become uncomfortably hot within 5 to 8 seconds. Then your coals are hot enough to braai. When the coals under the braai grid get too cold you can take more from the fire. You need to spice the meat and add a few drops of olive oil before you put it on the grid. If your coals are hot enough the flames might flare up briefly but that is okay because you need to sear the meat and seal the juices and flavour inside. Do not turn your meat more than four times and not too often. Wait until you see quite a lot of juice collect on top of the meat before you turn it. It is ideal to turn the meat only once or twice as it gets tougher and drier as the juices cook out. Allow the meat to ‘rest’ for about five to ten minutes in order for the juices to evenly distribute throughout the meat before you eat but enjoy it while it is still warm. 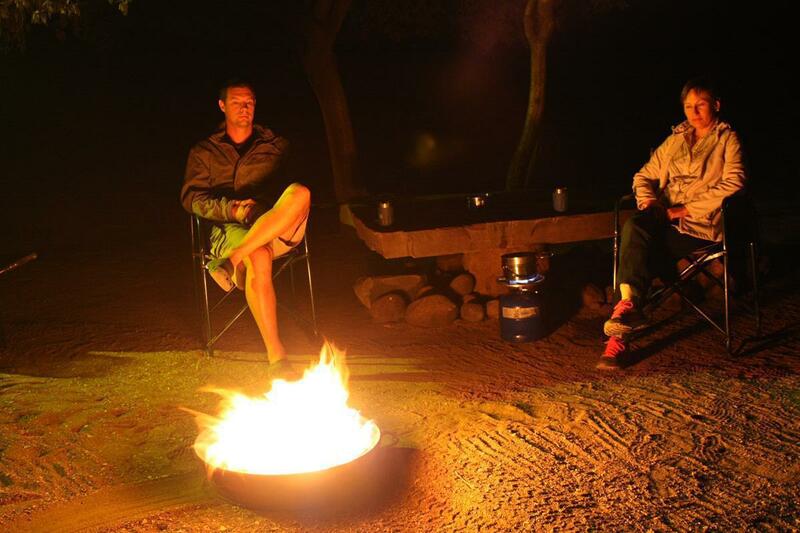 If you kept a fire going on the side you can still enjoy your Bushmen TV after your cooking is done! The traditional way of cooking Potjiekos is in a three-legged cast iron pot. Potjiekos Apart from braaiing, potjiekos is the other traditional way of cooking over an open fire. 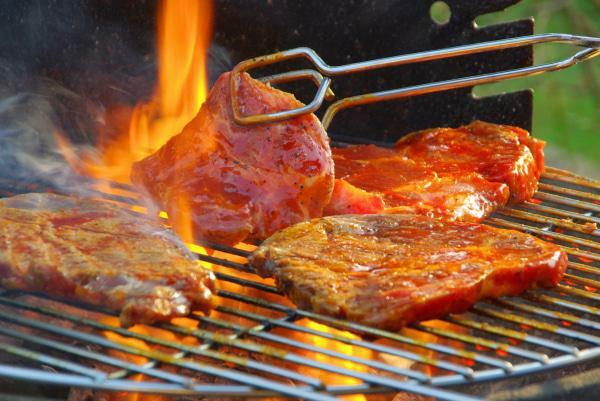 When you braai, you put meat, bread or vegetables on or in a grid on the coals once the fire has burnt down. Potjiekos on the other hand entails cooking a stew in a pot over a small fire. The traditional Potjiekos pot is a three-legged round pot made of cast iron. The tradition was brought to the Cape by the Dutch in the 17th century. The Voortrekkers (the boers who trekked inland from the Cape) took their pots with them on their ox wagons. Each day when the wagons stopped, the pot was placed over a fire to simmer. They cooked venison, bush pig, guinea fowl, warthog, hare or whatever else they could shoot, along with vegetables (when they could get them) in their potjies. It also served as an oven to bake bread. A true Hunter’s pot was never or rarely emptied completely. Every day fresh ingredients were added. New bones, meat and vegetables replaced those consumed along the way and the flavour of the pot improved with age. The firm layer of fat on top of the stew protected it from dust and contained it while the potjie dangled under the ox wagon. 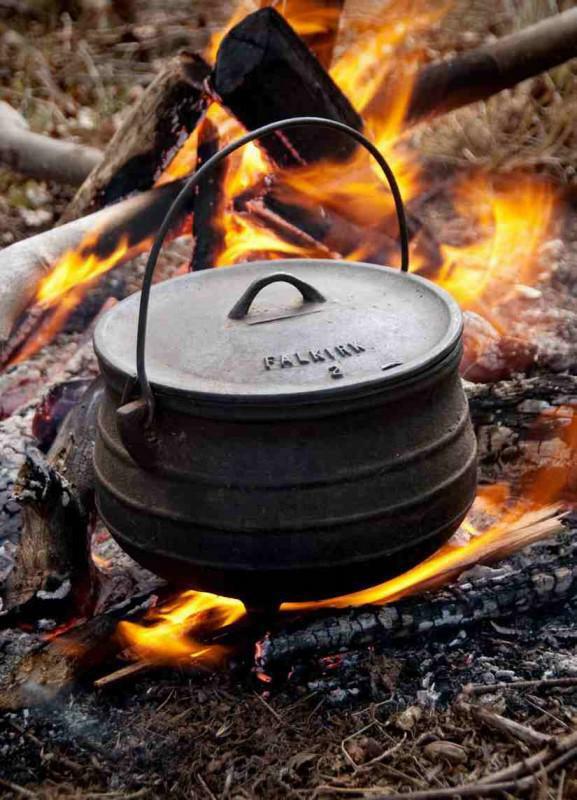 Potjiekos spread over southern Africa and nowadays people also use flat bottomed cast iron pots for this purpose. Its only downside is the time it takes to cook because the stew is simmered over low heat. If you have to move camp every day you won’t have enough time for Potjiekos cooking, unless you make a Hunter’s pot. Making a potjie is ideal when you stay over for two days or more. When you travel in Africa getting top quality meat to braai can be a problem, therefore cooking a stew is a good alternative. In countries north of South Africa you will be able to buy fresh vegetables from locals along the road and these are of far better quality than you will get in the stores. However, if they are not peeled you must wash them properly with a disinfectant like Milton before cooking. A solution of one teaspoon unscented bleach per 1 litre water can be used to rinse vegetables and fruit. You should rather buy meat at chain stores than at the ‘African butcheries’ along the road. If you love stews, you may consider taking a pressure cooker with and cook your stew on the gas cooker. Buy food that will last During an overland trip, you would be wise to buy long lasting vegetables like gem squash, onions, butternut, potatoes and cabbage and fruit such as apples. A very simple but tasty dish to make while you camp is to fry an onion in a little butter, add a small red, thinly sliced red cabbage and two apples cut into cubes (credit stones here). These are fried together until the cabbage is just tender. Eggs will also last and are a good source of protein when you don’t have meat. However, you should take great care how you pack and transport them as broken eggs can leave a very unpleasant smell! Rusks with coffee or tea for breakfast are always a winner. 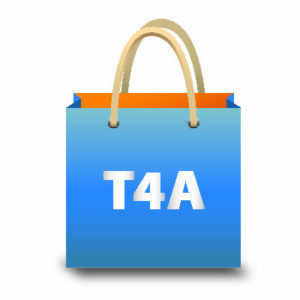 When you have to take food for a whole week, dry rations like pasta or rice and a few tins of tuna from home will help you out when you run out of fresh ingredients. Always ensure that you have aluminium foil as this can be used for wrapping vegetables before putting them in the coals to cook. You can either wrap hard vegetables like potatoes, onion, butternut or gem squash individually or you can make parcels of a variety of chopped items. Don’t burn plastic packages and bags before or while you cook your meal as it will give a nasty taste and smell to your food. Always adhere to camping etiquette when you are in the bush. Share your experience There are many recipes in books and on the internet for both braaiing and Potjiekos. Whilst this article may be most useful to overseas visitors unfamiliar with local customs, we know that some of you are experts on camp cuisine. Why don’t you share useful tips for bush cooking with us? Also, not everybody is lucky enough to have a fridge and freezer on a trip. Let us know how you manage without a cooling facility. Travelling light on a motorcycle up to Tanzania recently, I concocted a ‘one pot special’ that worked very well. During the day’s ride I would try to buy veges and raw or cooked meat at the side of the road. Then each evening, I would get out my small ‘Woolies’ wok, add oil, garlic flakes and a good dollop of mixed Asian spices that I had bought before leaving Cape Town. From the ‘operations centre’ of my 3 legged stool, whisky and water at hand, I’d fire up my MSR multi fuel stove and brown the spices and onion, if I had any. Then the meat would go in and be left to tenderise over low heat, covered with the aluminium lid which I had bought in the local market in Arusha. Once that was done it was usually time for the second whisky. The veges would be added along with some rice, perhaps some sugar to round out the flavours and a dash of lemon pepper. By now the wok would be pretty full and if the mixture was a bit too sloppy once everything was cooked, I’d add enough vermicelli pasta to soak up the juices. This is a very social dish to cook as the kids would drift in to see what was happening in this ground level kitchen and the down wind campers would gradually make their way up wind to find out what was smelling so good!! Plus there was often enough left over for breakfast the next morning. Peter, your one pot special indeed sounds like a winner! Thanks for sharing that with us. It just shows how little one needs in terms of equipment to cook yourself a super nice dinner in the bush. Surfing the internet I found that generally a size 3 potjie is most versatile. What are the ‘battle hardened’ experiences of South African bush bashers? Sorry for not posting in one go. But has anyone tips for how to transport a potjie in a driving car? I would hate to get the lid – or the whole pot – as a ‘surprise’ from the back on my head in situations where I have to brake briskly. A topic very close to religion… I like to keep things as simple as possible when camping, e.g. eat straight off the grid and have no plates to wash afterwards. But on a recent trip the wonders of precooked meals/sauces were discovered from a camping neighbour. When braai meat becomes a bit too much or when running short on fresh meat a packet of curry or soup together with some basic ingredients can be cooked in a single pot in no time and it tastes great. It also requires no cooling so its perfect for extended trips. Johann, indeed those cook-in sauces are great! As a Dutchman I am curious what kind of curry you buy. Dry packs? Where to get? I travel without an Engel or Waeco fridge. I am in the bush for only two or three months a year, so that would mean a bad investment. So far I have a two days ‘actieradius’ with a styropor coolbox and bags of icecubes for meat. Thereafter it is eggs, eggs. Butternut and gemsquash etc are indeed great Karin. They keep a long time. In my former days as a land use planner in Kglagadi I travelled days with only water, milo, and cans of chicken curry and rusks. And of course the odd sixpack of beer on ambiant Kgalagadi temperature. Not even ice cubes. For heating I used a petrol burner.What more does a man need? Karin, thanks for the tips. For sure all European travellers will be happy with it. Frank, I quite enjoy being a Neanderthaler myself when I camp! I usually buy dry curry powder which can be bought in all food stores in South Africa. Thanks for sharing your tip for cooking everything in tinfoil. Who feels like washing dishes when you camp?! Frank, we have tried the ‘wet’ curry packs/soups (sauces I guess) from Woolworths and a few other makes, but I prefer the Woolworths products. They seem to taste more authentic, but when left with no choice I am sure all the others would be great as well. Woolworths has a Tom Yum Thai Soup which you cook in 10mins. You can eat it as is or make a meal of it by adding chicken/prawn and/or vegetables. I have once added leftover rice as well and it makes a great meal. There are several other flavours as well. I also like to take the dry packs of instant soup which is quick for a pre-dinner snack. You may ask about the prawn, but we met a discerning traveller in Malawi who had frozen prawn in his fridge! He also had great red wine and proper glasses.